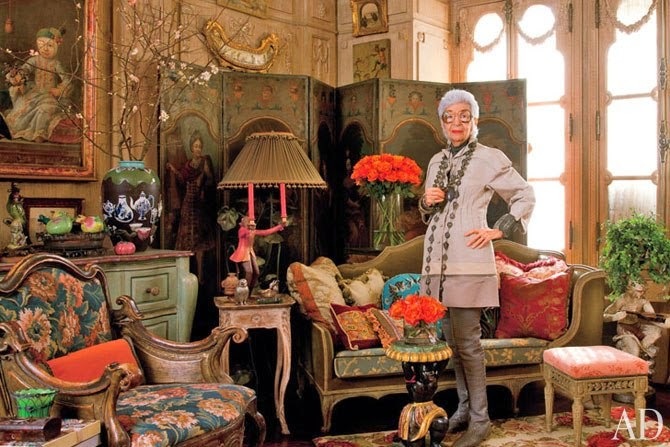 Iris Apfel, interior decorator, textile designer and vintage lover. 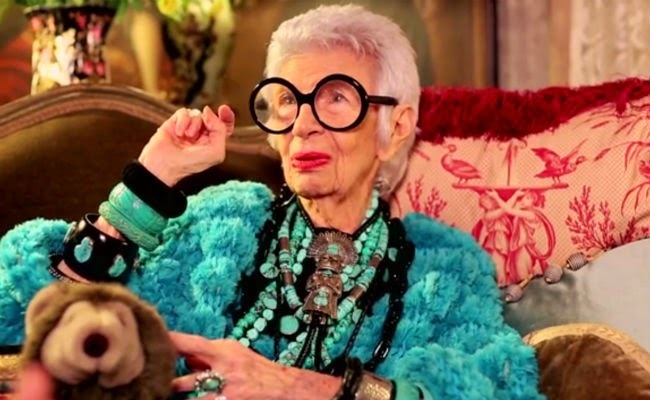 Quote: Being well dressed or having your home well decorated is a choice. 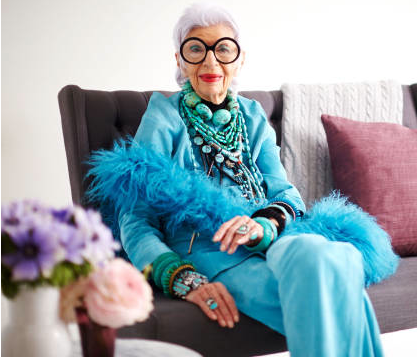 I admire this 93 year old lady, she is the proof that style doesn´t age. 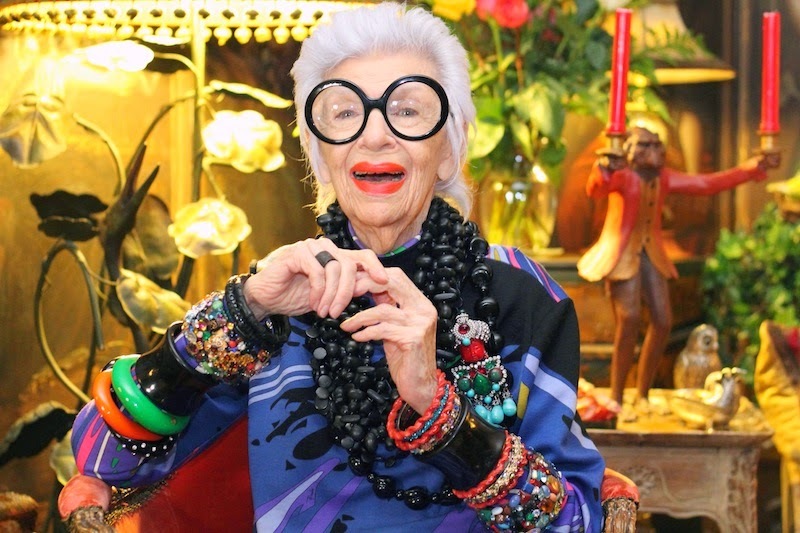 Good advise: She prefers to have one simple black dress and a lot of accessories, that way you can create many different outfits.